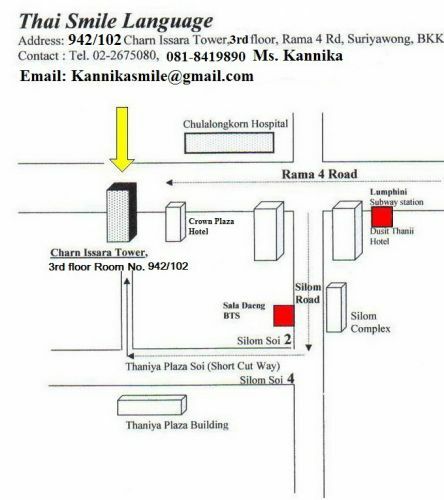 50 Meters next to our Building "Charn Issara Tower" and opposite the Chula Hospital . 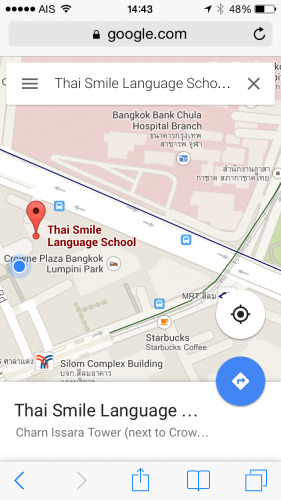 100 Meters in the corner of Rama IV Road and Silom road. Closed to Silom MRT. Only 5 minutes walk, Burger and coffer shop and Tops supermarket underground of Mc Donald.